Okay we admit it. 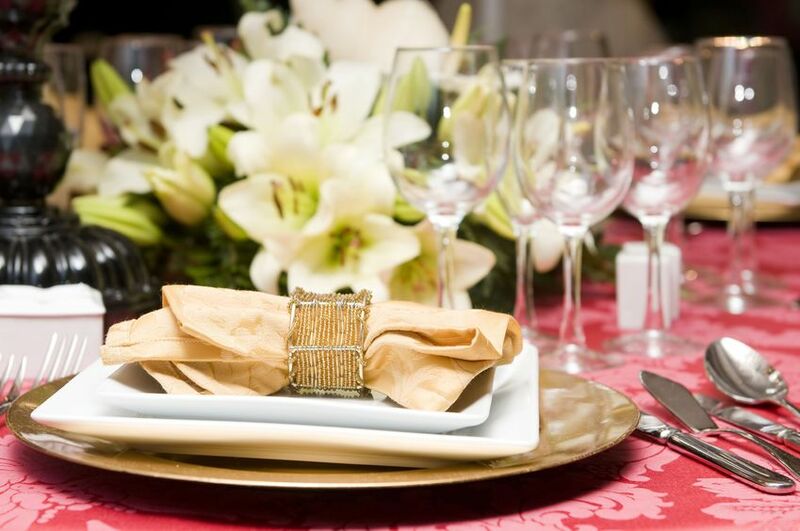 When we walk into a beautifully decorated venue and see napkins stuffed into glasses, we cringe. 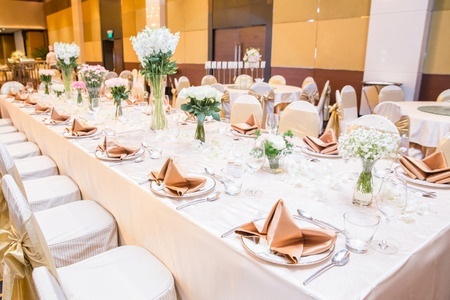 The fold of your napkin is also important since it reflects the atmosphere of your event. We love this site bumblebeelinens.com/napkinFolding.php because it features over 20 different types of folds with easy, step by step instructions. Pocket folds are a favourite with many brides since they provide a great backdrop for cutlery, menu cards or favours. 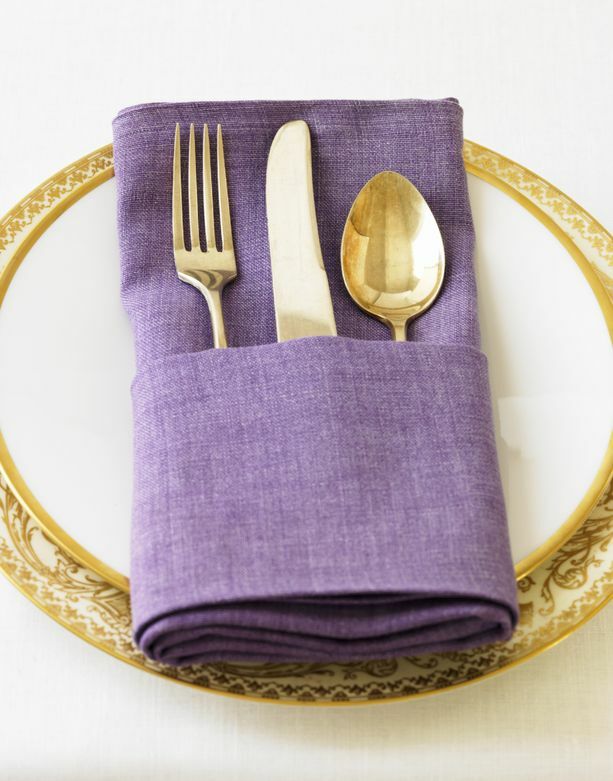 Remember, if your menu card and table linen are ornate, choose a solid colour napkin with a simple fold. 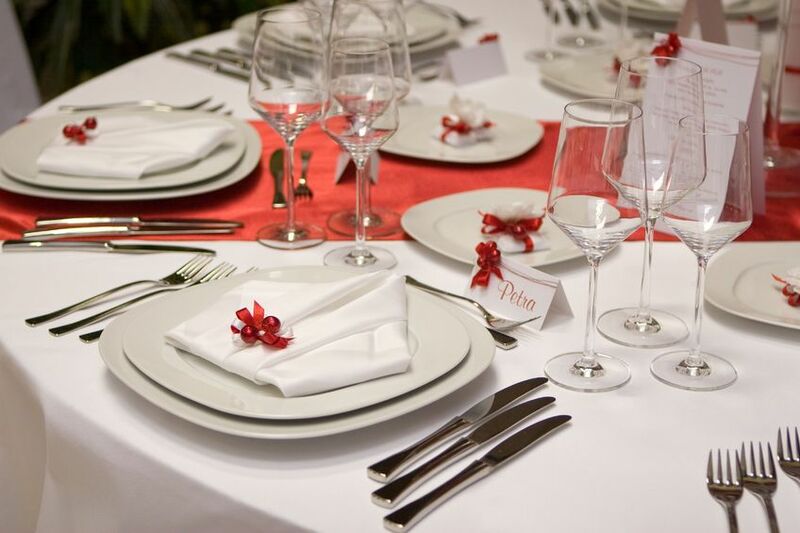 Embellishments on your napkin are great for adding colour to your tables. These small touches really make a table pop! Napkin rings are wonderful for dressing up your place setting. Consider using sparkly bracelets as napkin holders which can also double as thank you gifts. Have fun with your napkins and experiment with colour. 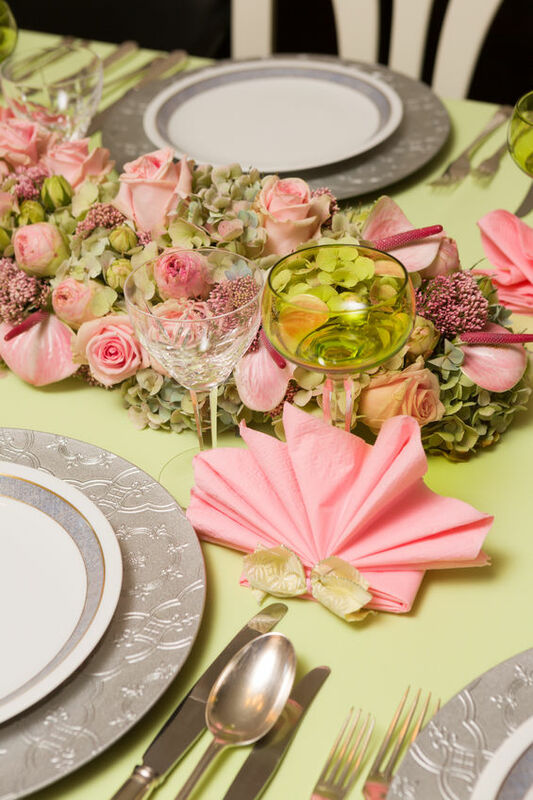 See how the pink napkin contrasts beautifully with the pale green linen? 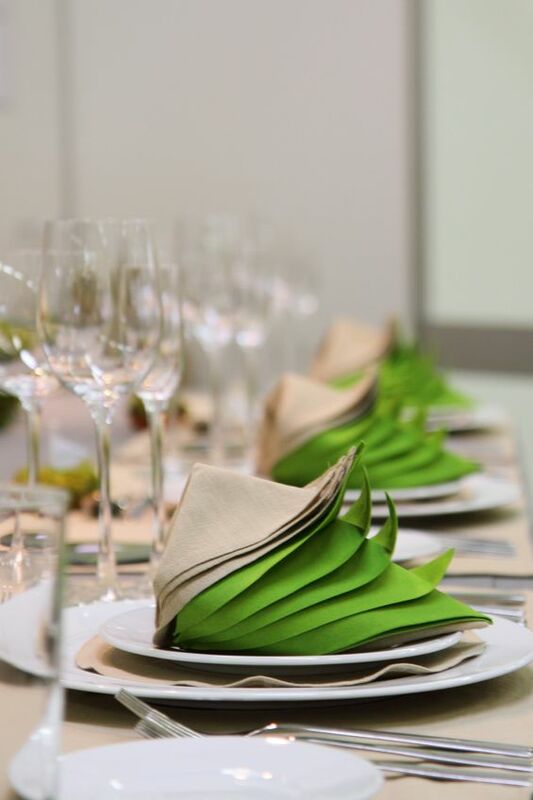 Two contrasting napkins and a fancy fold can definitely set a tone for your tables! In this picture, the lilac napkin and fuchsia orchid brighten up a neutral table. 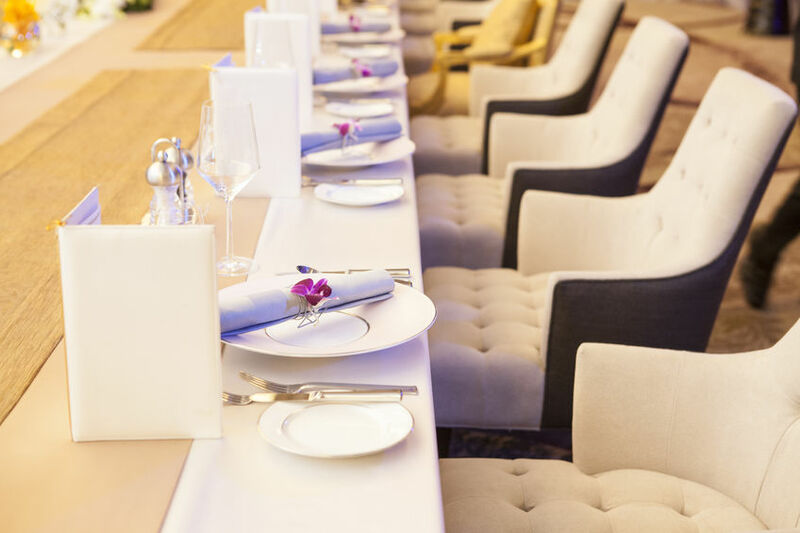 Napkins are small but powerful when it comes to table design. Be creative and have fun with them!